RebateBlast at Drive Your Golf Game With Super Savings! Drive Your Golf Game With Super Savings! 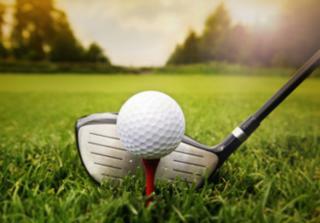 Warmer weather and the 2014 Masters Tournament signals the unofficial start of golf season! Although you may not be ready to vie for the coveted green jacket, the Masters has probably whetted your appetite for teeing up. Now is the time to start making plans FORE golf season. Before you hit the links, dogleg to RebateBlast for the best deals on golf gear and attire plus cash back rebates for acing the green all season long! Get the sports clothes and accessories used by the pros with UA® Golf Gear. Take comfort in the UA® HeatGear® line! It features heat reflecting coldblack technology to deflect the infrared and heat rays, has 30+ UPF protection and a moisture transport system that keeps you drier longer. It’s the hardest working gear out there! Under Armour up to 8% Rebate Give the gift of performance. Send a Gift Card or eGift Card from UnderArmour.com. Right now, UA® is sponsoring an exclusive promotion where golfers can enter to win a Jordan Spieth UA® Golf Pro-Pack, including golf bag, autographed hat, umbrella, Jordon’s on-course outfit and a $250 UA® gift card. Just sign up at the UA® website now through April 30, and put yourself in the running to win! No purchase is necessary. Looking for new clubs? Think Callaway® Pre-Owned! You can trade in your old clubs for a set of new ones with the Callaway® Trade In! Trade Up! Program. It is the easiest way to upgrade your existing Callaway Golf® or other brand equipment, and find out how much your current clubs are worth. Callaway® also offers a Buy It, Then Try It! Program, giving golfers a chance to test-drive a club for a limited time. If it doesn’t work for you, Callaway® will refund the purchase price or buy it back. Start swinging this year with a fresh set of clubs and watch for the birdie! With the company’s goal to “inspire golfers to play better and love life more,” Golfsmith® is a definite must shop for anyone looking to drive or chip! It is the perfect place for anything golf. If you need clubs, shoes, apparel, GPS, rangefinders, balls, bags, accessories, and even training, Golfsmith is the one-stop you need to make. Get up to 75% off golf apparel, bags, balls, clubs, gloves, shoes, training aids and grips at the Golfsmith® clearance section. You can also save an extra 25% off clearance apparel if you act now. Be frugal with your golf expenditures, putt by RebateBlast to shop our golf merchants and you’ll earn more for your fun!